The 612 is a great midsize hibachi grill, prefect for the party of two, or even four. 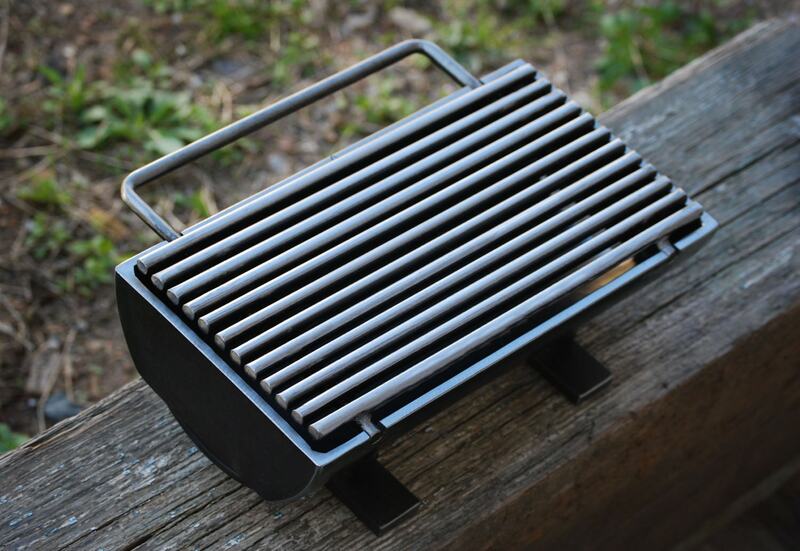 It is still small enough to stash away, travel with, but once again, big enough to grill some serious food. Built just like the 618, but only shorter. Though it is a little bit smaller, it is welded steel tough, and a justifiable seventeen pounds. 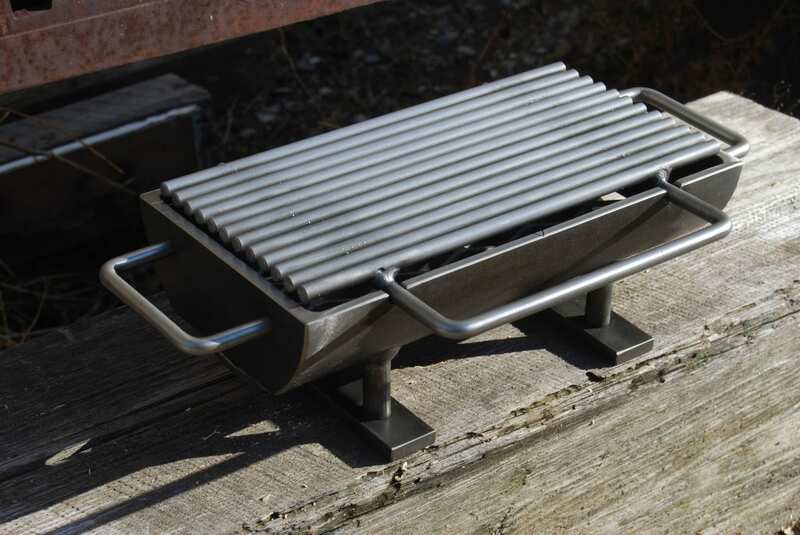 This grill has a 6" x 12" grilling surface, is constructed of welded carbon steel, and is ready to last a few generations. 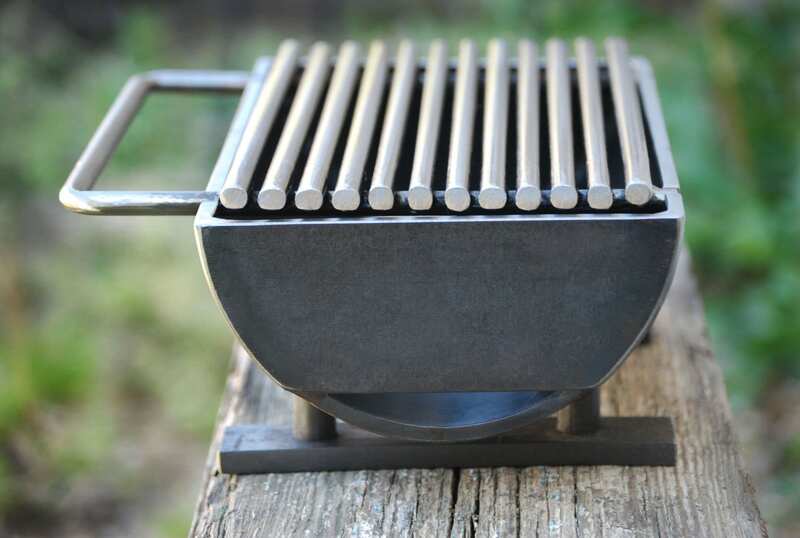 Please specify if you want the stainless steel endplate carrying handles, or not. See the variation in the photos above. Some customers want them, and some do not. You choose, and there is no extra charge, either way. 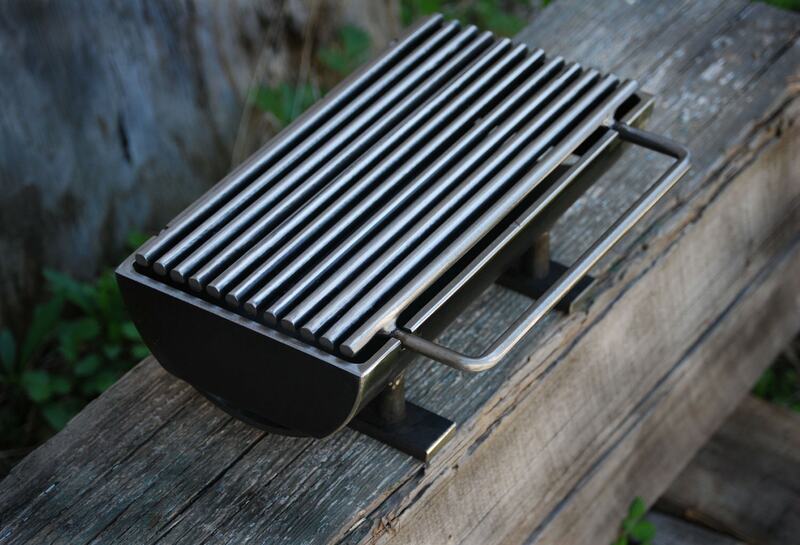 If you want, this grill can be kicked up a notch by the upgrade of a T304 stainless steel grilling surface. Please inquire about this upgrade, if you are interested, and yes it will cost a little bit more. All grills are made to order, upon payment in full. Paypal is the prefered method of payment at this time. If you wish to cancel your order, please do so within ten (10) days of placing the order, in writing, and a full refund will be honored. Any cancelation requests past ten (10) days must be submitted in writing, and are subject to a refund less the costs incurred to fulfill the order, to the date such a request was received. Items may be shipped via UPS, or common carrier due to the weight of some items. Please allow two to four weeks, for orders to be shipped. 100% customer satifaction is the goal! All workmanship is guaranteed against the normal use of each product. Any defect that hinders usage or safety, well be repaired, or replaced, at no cost to you. If for any reason that you are not satisfied with your purchase, please submit, in writing, a refund request with the reason, or reasons, why you are not satisfied with the product. Each request will be reviewed on a case by case basis, before determining if a refund, or credit, will be honored, or not. All grills are made of carbon steel an can rust. A stainlees steel grill top option my be requested for an additional 30% upcharge to the base price of the individual grill. 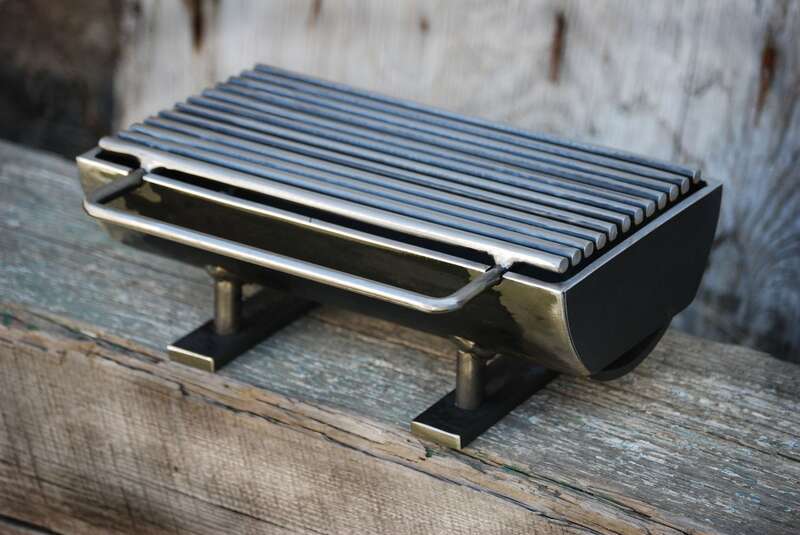 Please indicate, at the time of sale, the request to construct the grill top in stainless steel, otherwise it will be made in carbon steel. A longer, or larger, grill can be requested for an additional charge of $25.00 (USD) per each additional linear inch in length, and an additional $100.00 (USD) per each additional linear inch of width.